If you’ve been on the Internet for any length of time, you’ve been bombarded by hosting offers for your eBay business through your daily spam. A web-hosting company houses your website code and electronically doles out your pages and images to your web page’s visitors. If you take advantage of PayPal’s free Pay Now buttons or shopping cart, you can turn a basic-level hosted site into a full-on e-commerce store without paying additional fees to your hosting company. The PayPal tools are easily inserted into your pages with a snippet of code provided by PayPal. How long has the company been in business? You don’t want a web host that has been in business only a few months and operates out of the founder’s basement. Deal with folks who have been around the Internet for a while (hence know what they are doing). Is the company’s website professional-looking? Does the company look like it has enough money to stay in business? Who are some of the company’s other clients? Poke around to see whether you can find links to sites of other clients. Take a look at who else is doing business with the hosting company and analyze the sites. Do the pages and links come up quickly? Do all the images appear in a timely manner? websites that load quickly are a good sign. What is the downtime-to-uptime ratio? Does the web host guarantee uptime (the span of time its servers stay operational without going down and denying access to your site)? Expecting a 99-percent-uptime guarantee is not unreasonable; you’re open for business — and your web host needs to keep it that way. How much web space do I get for my money? For the most basic website on web.com (not to be confused with webs.com mentioned above) you can get 300GB of storage for $2.99 a month; you’d better be getting a lot if you’re paying more for it. Does the web host offer toll-free technical support? When something goes wrong with your website, you need it corrected immediately. You must be able to reach tech support quickly without hanging around on the phone for hours. Does the web host have a technical support area on its website where you can troubleshoot your own problems (in the middle of the night, if needed)? Whenever you’re deciding on any kind of provider for your business, take a moment to call its tech-support team with a question about their services. Take note of how long you had to hold and how courteous the techs were. Before plunking down your hard-earned money, you should be sure that the provider’s customer service claims aren’t merely that — just claims. What’s the policy on shopping carts? In time, you may need to install a shopping cart on your site. In the beginning, a convenient and professional-looking way to sell items on your site is to set up a PayPal shopping cart or PayPal Pay Now buttons. When you’re running your business full-time, however, a shopping cart and a way to accept credit cards is a must. What kind of statistics will you get? Visitors who go to your website leave a bread-crumb trail. Your host collects these statistics, so you’ll be able to know which are your most and least popular pages. You can know how long people linger on each page, where they come from, and what browsers they’re using. How your host supplies these stats to you is important. Is there a desktop design tool? If you’re not a web-design expert, having a WYSIWYG (What You See Is What You Get) design tool will make life a lot easier. 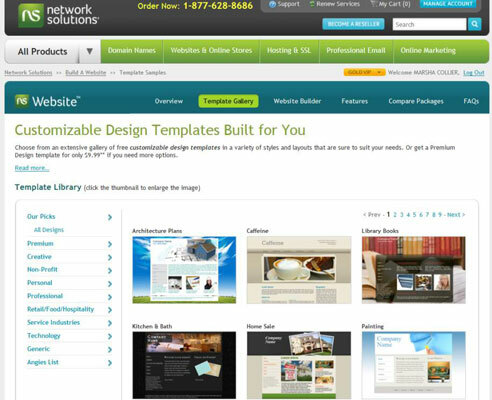 If your web host has themes or templates, you’re good to go. Using a ready-made (but customizable) template can help make the initial site setup somewhat painless for the non-technically inclined. Are there any hidden fees? Does the web host charge exorbitant fees for setup? Charge extra for statistics? Impose high charges if your bandwidth suddenly increases? How often will the web host back up your site? No matter how redundant a host’s servers are, a disaster may strike, and you need to know that your website won’t vaporize. Redundancy (having duplicate copies of your data and site functionality) is the safety net for your site.